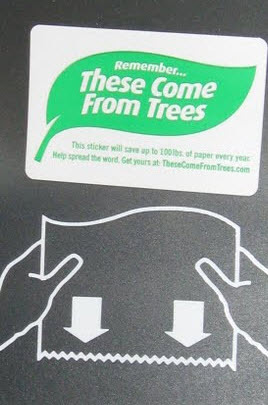 My immediate reaction was one of personal offense for intruding on my simple act of browsing a book, coupled with disbelief over some fool actually expecting to realize some business from a small but nonetheless particularly annoying act of interruption marketing, one-way marketing that depends on getting people to stop and pay attention to the message. Interruption marketing can range from traditional media advertising, which might briefly entertain a viewer, but is usually quickly forgotten, to obnoxious actions like sticking business cards into books or getting rudely awakened from an airline nap with an in-flight announcement of a Carribean flight offer, as experienced by David Meerman Scott. With the widespread acceptance (deservingly so) of Permission Marketing, the innovative marketing approach devised by Seth Godin, it is tempting to dismiss all interruption marketing as not worthwhile at best and downright bad at worst. So can interruption marketing still be effective in a Google search, Permission Marketing, New Rules of Marketing & PR world? The new conventional wisdom states that interruption marketing is dead. We’re so bombarded by billboards, t-shirts, pop-ups, television and magazines that we’ve developed an immunity to advertisers’ messages. There’s no point even trying to interrupt us. You’re just wasting your money. I disagree. It’s hard to interrupt us, but it can be done. Not by being loud, but by being different. Be witty, tell a story, and tell it to us when we want to be interrupted, and you can leap out from the clutter. I agree with Neil Davidson: tell a compelling story when we are unlikely to mind being interrupted. I suggest this is an improvement to Neil Davidson’s misnomer, “want to be interrupted.” We are least likely to mind being interrupted when the interruption is relevant to what we are doing. For example, while browsing books, I didn’t “want” to be interrupted, but I would not have minded if the card inside the book was in fact a (relevant) insert placed there by the publisher. How well I’d have taken note of such a publisher message would depend on the creativity of the story the publisher wants to tell: perhaps an invitation to an online community for business books, etc. That story should invite the person receiving that message to interesting, relevant content, or even better, an ongoing relevant dialogue. Perhaps interruption marketing is most effective when it interrupts at a very opportune time and elicits a response that segways quickly into a permission marketing opportunity. 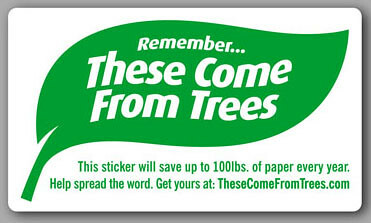 The These Come From Trees sticker interrupts you at just the right moment, reminding you in a friendly way the paper towels you are about to use come from a finite resource, plus quickly tells a simple yet compelling story explaining the benefit the sticker’s presence provides, and also invites the reader to become part of the effort, and dialogue, to help reduce needless paper towel waste. Well done! Not long thereafter, I noticed a business marketing message with a reasonably timed interruption message coupled with a compelling story. An airport wall ad from Marriott to “Meet the Driven” – an invitation to interesting online content about inspiring, “driven” business professionals – struck a chord. The implied assumption of the airport ad that the business people who see the ad will identify with being “driven” is reasonable and not an unwelcome interruption. What’s more, the ad is an invitation to stories of inspiring business people, with a URL not for marriott.com but for meetthedriven.com. This appeared to be a good business use of interruption marketing. Unfortunately, the Meet the Driven website was not what I expected at all. The meetthedriven.com URL merely redirects the visitor to the marriott.com site, with a flash introduction and links that primarily lead to information on business traveler-friendly features of Marriott hotels. 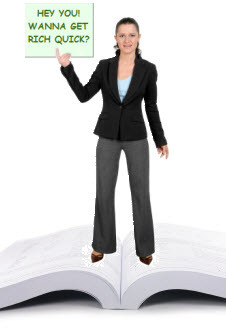 It is necessary to click on a specific link, and then make a drop-down menu selection to actually “Meet The Driven” – five business/healthcare professionals who really don’t get to share much of their stories: they are asked a few cursory questions and afforded very brief answers with little actual dialogue, all in text appearing in an unnecessary flash format. If there are video interviews or podcasts, there are no links to that content. I think Marriott (for which I have long been a customer) squandered a good interruption marketing message only to fail to deliver what appeared from the message to be an interesting online community for “driven” business people. It still could be. Please share your examples of successful interruption marketing that delivers a well-timed, engaging interruption message; that is, a message that does not merely yield a few moments of amusement, but actually yields a desired response.